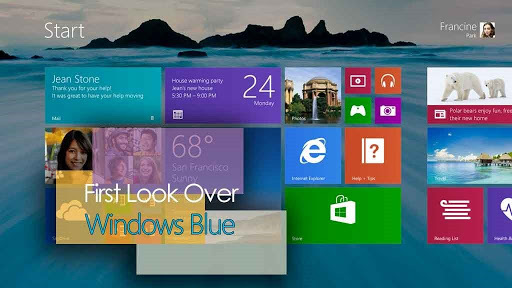 It has been murmuring throughout the blogs and magazines that Microsoft are going to release a major update over Windows 8 bumping the version number to Windows 8.1 aka Windows Blue. Finally, yesterday (30th May, 2013), Microsoft have officially talked about Windows 8.1, things that will be changed or added over Windows 8 and discussed future possibilities as well as release date and other in their blog. Today we have looked over the first official impression made by Windows 8.1 and decided to share our thoughts about it. The update will not make any drastic changes in the system, but will be many interface changes/improvements, together with new gestures that promises to improve the usability of the operating system. Some of the new features have been seen in leaked builds in recent weeks, such as the possibility to work with two applications side by side in the new interface, with the option to adjust the width of each screen. The update will be completely free for those who bought Windows 8, and will role over from June 26th. As assumed, the update will be distributed by Windows Store. Below you can see all the details. The first change that should draw the attention of all is the return of the Start button, but hang on there, when you click on it you will not see a menu. The new button is just a shortcut to return to Modern interface (Start Screen), something that could already be done quickly with a tap on the Windows key on your keyboard. At this point, using third party programs to completely enjoy the Start Menu as on Windows 7 is still the best option. And oh! Another thing you will notice as soon as you boot up Windows 8.1 is that it will take you directly to the Desktop instead of showing the Metro style modern start interface currently used it Windows 8. Don’t worry, the current Start Screen can be accessed by click Start icon from desktop or tapping Windows button in your keyboard. Speaking on the Start Screen of Windows 8, we have two more important changes. First is the new sizes for the icons. The extra small size, as seen in the screenshot below, allows four Tiles where before only fit one. It is the ideal format for those who do not want to scroll to much to find their desired program in Start Screen. There’s also a new extra large size icon which is designed for applications that need to display data directly from the home screen, like the weather tile as you can see in the screenshot, which loads a background image and also shows the weather of your favorite city for today and tomorrow. This is an opportunity to make dynamic applications and can at the same time beautify your interface. I actually feel this is a great addition. New in Windows 8.1, you will be change the background of the Start Screen using wallpaper, which in current case, can only be changed to a few defined abstract image and colors. You can also use the same wallpaper for both traditional desktop screen and modern Start screen which should give you ease while transitioning screens. Still, those who like the new visual style will have more customization options, both for the background and for the system colors. The main highlight here is the animated backgrounds, similar to the one seen in Live Wallpaper in Android. Some examples have flying robots, dragons with tails in motion and more. The animation is simple enough to not distract the user in their tasks, but can give a little more life to the interface. Currently, the search tool for Windows 8 divides the results according to categories such as applications, files and settings. The format attempted to facilitate the selection of content, but many people still do not quite understand the operation of the filters. To solve the problem, Windows 8.1 will bring a new global system search. This means that all content will be indexed in the same screen, without the need for additional clicks. The tool can be accessed from anywhere of the system by the Windows + S keyboard shortcut. Another advantage is the interaction with the content directly from the search. For example, songs that appears in the search can be played right there. In addition, Microsoft is also preparing another surprise: integration with web results. It is what the company calls Search Hero. The tool is able to get a search for an artist, for example, and offer information taken from Wikipedia, or direct links to related shows and movies and many mores. The best part is that the results are linked to the appropriate applications, such as Netflix and Wikipedia, opening these instead of a simple internet browser on screen. Stefan Weitz, director of Microsoft's search team, said this is only the beginning of the integration of Bing with Windows, and the goal is to expand this operation to all platforms soon. No need to go to Windows Store and manually install update for every modern interface you have. Windows 8.1 takes care of everything automatically in the background. The new store app brings the best content recommendations, larger icons with comments of users in the search and easy access to lists of the most downloaded contents, both free and paid. New downloads will not be automatically added to your Start screen. This was one of the annoying features that user complained in the current version, since every time you install an application from, icons appear automatically in Start Screen in current version making it a mess. The solution lies in a new screen with all the applications installed on your computer, accessed with a command to slide your fingers up the interface. The displayed list can be reordered by application name, date of download or category. The advanced system configuration options are currently rather confusing and diluted in many screens, both in the new interface and in Desktop mode. Now all settings are been made Modern and can be accessed by the new interface. Modern version of the browser is now more like that available for the Desktop. This means that there is no limit on how many tabs can be open simultaneously. 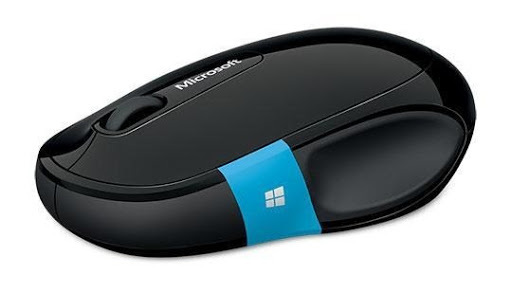 Windows 8.1 will brought up Internet Explorer 11 with some other features like it will never hide address bar and more. The image explorer has been upgraded and gain many editing tools. The first group of them offers automatic settings and manual control over color balance, temperature image, saturation and color. Instagram lovers will be happy with the presence of image filters, retouching red-eye, selective blurring and cropping tools. Finally, we have the option of advanced color enhancement that works in specific regions of the image. From the description of Microsoft, the operation is similar to apps like Snapseed - bought by Google last year. System users have been asking for a way to save your favorite content and share them on the web. With this application you can add any web content to your reading list to continue later, even on other devices, since it will be shared using your Microsoft account. The calculator still will not have a version for the new Windows interface. In its new version it will have scientific mode of operation, plus a built-in unit converter. Xbox Music, Clock, Bing for restaurants and Bing for Health and Fitness. These latest four applications will also be an integral part of the selection for Microsoft Windows 8.1. In the case of Xbox Music, Microsoft claims that the interface has been redesigned to give more attention to your music library, and we will soon have an feature of online radio, but nothing more has been disclosed. After the update, SkyDrive will be used as the default place to save all documents. This means that it is more integrated into the system as a whole, no longer just one of several Microsoft applications. In terms of improvements, now the system will trigger the synchronization of your files in a more frequent and reliable way. The user has control over which file types should be sent to the cloud or not. Microsoft also added a preview mode in SkyDrive, so you do not need to download an entire document just to get an idea of ​​its contents. Confirming what had already been reported in previous testing builds, Windows 8.1 allows redistribution of screen space for applications to the Windows Store. Currently this ratio is locked at 80:20, which hinders those who like to do several things at once. Besides being able to adjust the width of each window freely, ultra-high resolution will allow up to four applications of the new interface to be used simultaneously. Microsoft claims that the system is now smart enough to know which of these applications require more or less space. Following up the huge round of updates for Windows 8.1, go to the virtual keyboard system, essential for users of tablets and convertible notebooks. Now each key has a secondary function. For example, by taping and holding the T, you will see a pop-up with the number 5. The operation is similar to keyboards as on smartphones or tablets running with iOS and Android, with the difference that it is not necessary to wait until the secondary command appear to activate it with a short finger slipped. If you got this far, you should know that the changes are many. Despite the subtlety of some of them, it is expected that Windows 8.1 corrects many of the flaws pointed out by users. Microsoft seems to be glassy-eyed in the claims, which means that the system only tends to improve. Again, we stress that the launch will take place on June 26, the date that accompanies the start of the BUILD 2013 conference. We will try to tear apart the Windows Blue and provide you as much as we can here at ABC Trick. So hang tight and don’t forget to leave your comment here. "The new button is simply a shortcut to return to interface Modern (the Screen Start), something that could already be done quickly with a touch in Windows key the keyboard." KKKKK ..... Has people who could not do this? Only so Microsoft brought the button ini back? Lets SO more visually familiar with the predecessors. Work in trade, and I know that much people that has no knowledge technology are desperate, looking stores that still sell computers with Win7, precisely for this difference.